Dirty tricks, deep ends, jury verdicts, TAM reports, public domains and more! Dirty tricks by climate change deniers? - Same tricks, new topic. Has the GOP gone off the deep end? - In short? Yes, many years ago. Unarmed Trayvon Martin gunned down - Verdict is in, which will surely be challenged. A selection of woodcuts from a book entitled The History of Four-Footed Beasts and Serpents, published in 1658. Most of this three-volume compilation is comprised of the zoological works of the English clergyman Edward Topsell who published several books on religion and other matters during his lifetime. A whole host of animals are represented in Topsell’s illustrations, all of which which came directly from earlier works by the Swiss physician, naturalist, and author Konrad Gesner. 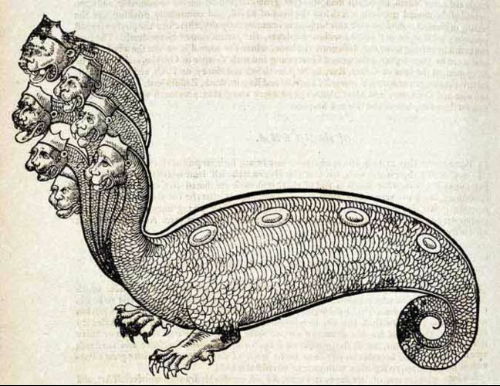 Amongst the usual suspects there are also more unusual mythical specimens, such as the “Hydra,” with two claws, a curled serpent’s tail, and seven small mammalian heads; the “Lamia,” with a cat-like body, hooves on the hind feet, claws on the front, and a human woman’s face and hair; and the “Mantichora,” with a lion’s body and mane, a man’s face and head of hair, and a grotesquely smiling mouth. Pretty cool, eh? So naturally I had to dig deeper into the site. I clicked on the page banner and off I went, exploring. Within a few minutes time, I knew I had been lead to a site that I wanted to share with both of my readers. The Public Domain Review is a collection of audios, films, articles, photos and other goodies that have made their way into the public domain, as the name of the site implies. And boy-howdy, there is lots of it, and as you might imagine, there’s something here for everyone. I spent several hours (when I should have been finishing my TAM thread) watching film clips and listening to audios. I also perused images for a while. And I know I haven’t even scratched the surface of those things that are of interest to me, in the collections. 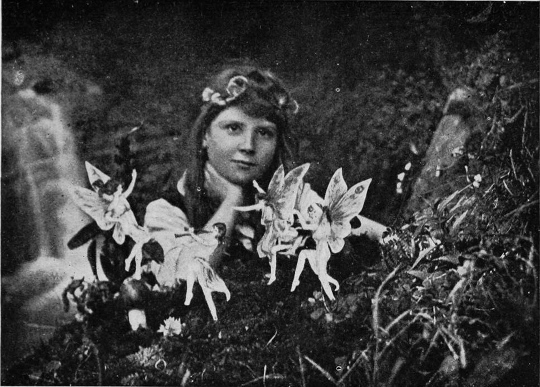 In the spring of 1920, at the beginning of a growing fascination with spiritualism brought on by the death of his son and brother in WWI, Arthur Conan Doyle took up the case of the Cottingley Fairies. Mary Losure explores how the creator of Sherlock Holmes became convinced that the ‘fairy photographs’ taken by two girls from Yorkshire were real. All works eventually fall out of copyright — from classic works of art, music and literature, to abandoned drafts, tentative plans, and overlooked fragments. In doing so they enter the public domain, a vast commons of material that everyone is free to enjoy, share and build upon without restriction. We believe the public domain is an invaluable and indispensable good, which — like our natural environment and our physical heritage — deserves to be explicitly recognized, protected and appreciated. The Public Domain Review aims to help its readers to explore this rich terrain — like a small exhibition gallery at the entrance of an immense network of archives and storage rooms that lie beyond. So there you have it. Or do you? 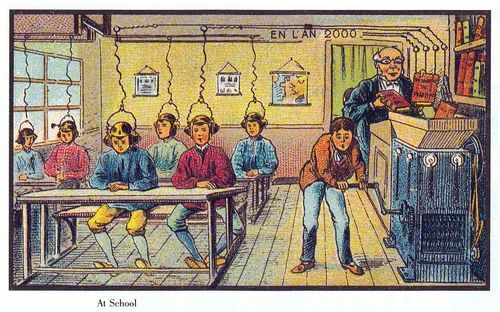 You really have to go to The Public Domain Review and explore what the site has to offer. And there is a very big upside to what you might find there as well. You can share the images, movies and most everything else in the collection without having to worry about copyright violations. And that is not at all beside the point! Oh… Thanks go out to Rachel Ann Gray for posting the link to this fabulous site! There were 7,952 daily visitors this week.